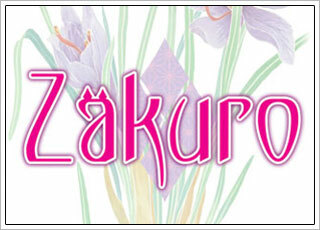 Zakuro | NIS America, Inc. The Modernization of Japan has begun. The Ministry of Spirit Affairs is established to resolve mysterious incidents involving the nation’s spirits. This ministry consists of representatives from both the human and spirit worlds. 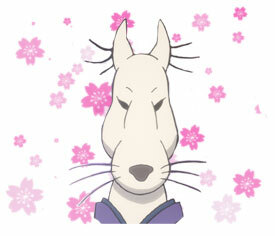 Zakuro, Susukihotaru, Bonbori, and Hozuki are all half-spirits (a hybrid between human and spirit) who have been partnered with the second lieutenants Kei, Riken, and Ganryu. These half-spirit girls and the male second lieutenants are all assigned to Spirit Affairs in an effort to join forces and carry out any tasks given to them! Premium box with bonus item: 36-page art book (approx. 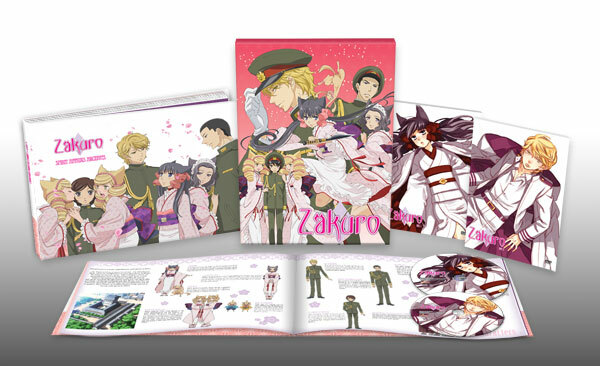 11" x 7") with episode guides, character profiles, cast interviews, an interview with Zakuro creator Lily Hoshino, and exclusive artwork. You will get to know more about the perspectives of the main vocal cast by reading their interviews! Find out what they thought about their characters and the experiences they had by being a part of Zakuro! 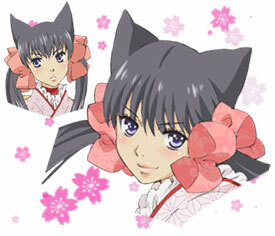 A strong-minded tomboy, Zakuro is the lead spirit representative in the Ministry of Spirit Affairs. Her combat efficiency is, by far, the greatest among all the Ministry’s members. She cares deeply for her friends and will do anything in her power to protect them. 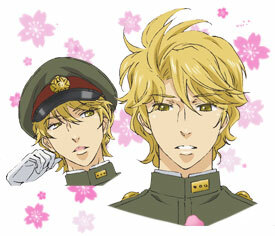 A second lieutenant in the Imperial Army and Zakuro’s partner at Spirit Affairs. Handsome and cultured, his elegant words capture the hearts of many women. He has a strong sense of justice, but a crippling fear of spirits. 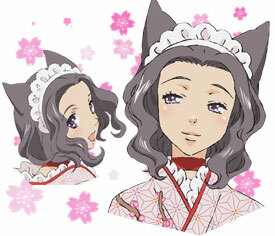 Although chosen to be a spirit representative for the Ministry of Spirit Affairs, Susukihotaru is a shy half-spirit. She was raised with Zakuro, who means the world to her. 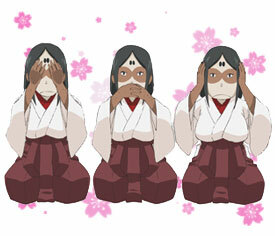 She acts as the maternal figure for Spirit Affairs. She also has the power to empathize with objects and people via physical contact. 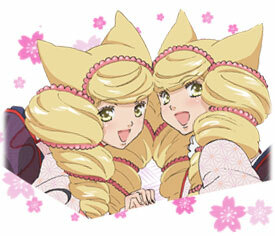 These cheerful twins were chosen to be spirit representatives for the Ministry of Spirit Affairs. 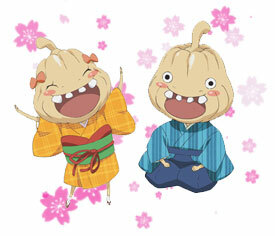 Bonbori is the older of the two and always optimistic, while Hozuki is the younger, more reactionary one. Despite their dark past, they always smile and enjoy playing. They specialize in magic petals that can attach to and track the locations of others. 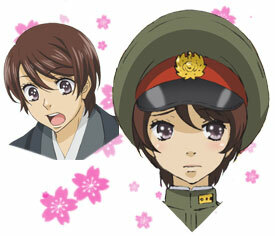 The youngest second lieutenant in the Imperial Army. 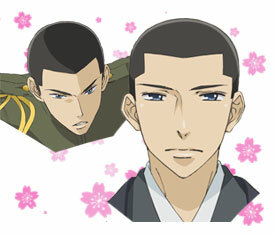 Once at Spirit Affairs, he is partnered with Bonbori and Hozuki. Even though he may not be very tall, he is very intelligent and carries the ambition to become the youngest field marshal in history. A fox spirit that accepts cases from those seeking the aid of the Ministry of Spirit Affairs. She is the one who initially brought Zakuro, Susukihotaru, and Bonbori and Hozuki together, becoming not unlike their mother. She watches over her half-spirit girls with loving warmth. The spirit acting as the chief director of the Ministry of Spirit Affairs. He is the one who offered sanctuary to Kushimatsu and the other girls. He always remains calm to assess situations and is able to speak to human officials on equal grounds. He is Zakuro’s artifact spirit. 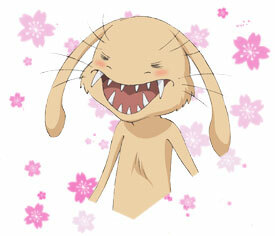 He has a cheerful personality and likes to pick on Kei. 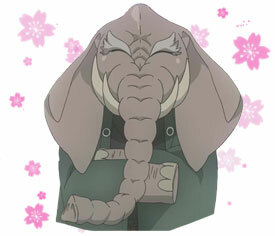 Mamezo stores Zakuro’s sword within himself, which can be regurgitated as needed for battle. They are two young, playful spirits. Sakura stores Susukihotaru’s weapon while Kiri stores both Bonbori’s and Hozuki’s weapons. They have a strong attraction to Kei, who they tend to use as their playtime partner. The trio of spirits that handle all the daily chores in the Ministry of Spirit Affairs. They enjoy rumors and gossip, as well as keeping tabs on the romantic goings-on within Spirit Affairs.